Most people think of nature as “out there”, a far away place with mountains and polar bears. But nature is also here, all around us, everyday. It's even in New York City. The Big Apple has more nature than any other city in North America. Yet these forests, marshes and meadows are in a constant battle against neglect and development. Loss of biodiversity is happening in New York City and everywhere else: Insects are dying around the world. Wildflowers are disappearing at an alarming rate. 1/3 of U.S. species is vulnerable to extinction. It's a global crisis, so why does climate change get all the news coverage? This is the thing with nature - we need to be invested in it or we lose it. Nature needs a "crazy pr event" - a spectacle to ignite a grassroots movement to create change. On May 11, 2018 we rode the streets of Manhattan on a PopUP Forest bicycle. 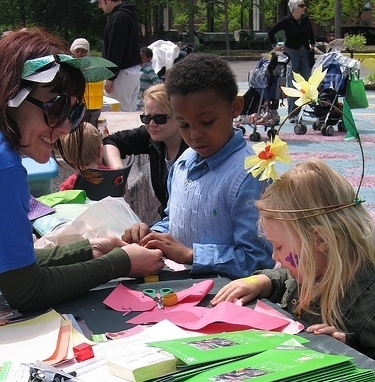 Our mobile woodland featured wildflowers, shrubs, and ferns that are native to New York City. 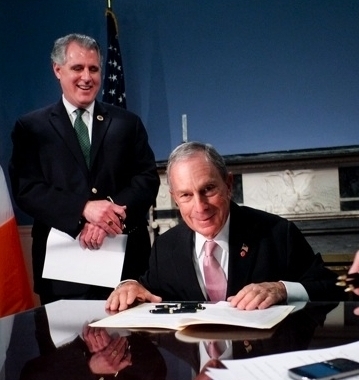 We’re growing this movement to other cities worldwide in 2020 to support the United Nations biodiversity accord. Click below to learn more. Nature is an underutilized urban resource. 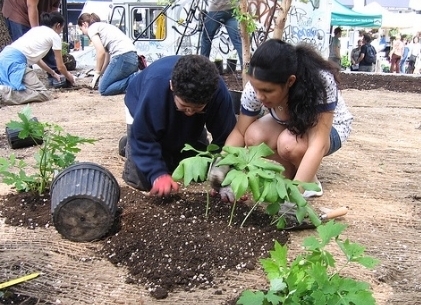 We’re activating civic engagement around urban wild places to locally address the global crisis of biodiversity loss. Won’t you join us? On May 11, 2018 the first mobile PopUP Forest set off for urban pastures. We pedaled from Brooklyn Bridge to Times Square to share nature with all New Yorkers. Press covered included WNYC Morning Edition, The Brian Lehrer Show, and The New York Times. Teachers can download and adapt our science curriculum to teach students about nature nearby. Click below! 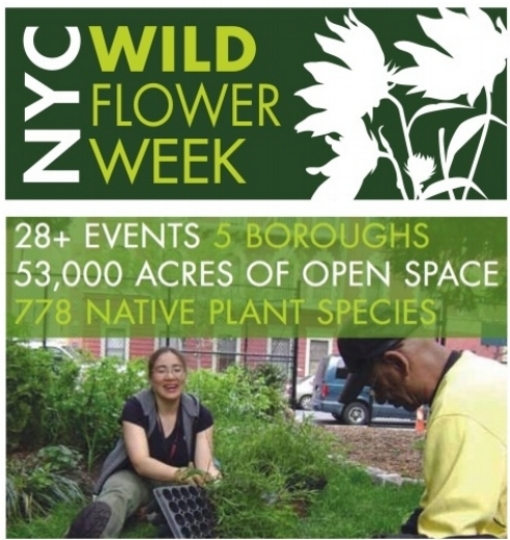 May 11-19, 2019 is NYC Wildflower Week. •And lots of opportunities to explore and see your city differently. Best part? It’s free! See the calendar of events. We're growing a movement of nature stakeholders to build a more sustainable + resilient urban future. Join us!